Lauren focuses her practice on technology litigation, primarily patent litigation and related strategic counseling. Lauren is experienced in all stages of litigation, including several trials, as well as practice before the Patent Trial and Appeal Board. 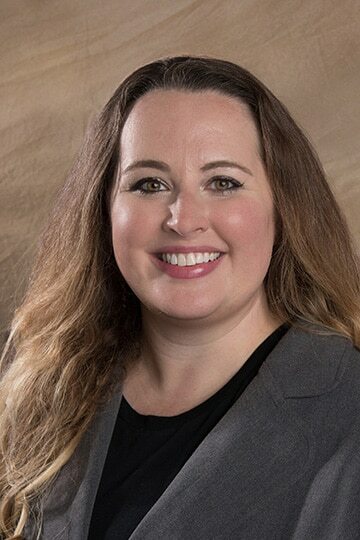 She also provides product counseling and assists clients with internal and external communications surrounding legal issues and technology disputes. Lauren is recognized as a Super Lawyers Rising Star. In addition to Lauren’s foundation in molecular, cellular, and developmental biology and biochemistry, she has experience with a broad array of technologies, including medical and diagnostic devices, DNA amplification, enterprise resource planning (ERP) software, customer relationship management (CRM) software, and embedded interactive web content. While in law school, Lauren participated in clinical programs and represented criminal defendants from arraignment through trial. She is a co-recipient of the 2006 Irving Oberman Memorial Award in Law and Social Change for her editorial work on The Great Unobtainable Writ: Indigent Pro Se Litigation After the Antiterrorism and Effective Death Penalty Act of 1996, a law review article authored by an inmate and published by the Civil Rights-Civil Liberties Law Review. Surgical Irrigation Technologies v. Stryker. Represented Stryker in a patent infringement action regarding surgical irrigation devices. Case dismissed by plaintiff. Versata Software v. SAP. Represented SAP in a nearly decade-long dispute with Versata, originally involving five Versata patents regarding computer-based system configuration, pricing, and order management. Three patents were dismissed before trial, and following a 2009 jury trial, the court determined that a fourth patent did not infringe as a matter of law. In the nation’s first Covered Business Method proceeding, the Patent Trial and Appeal Board found the fifth patent invalid; that determination was upheld on appeal. Patent Litigations and Related Covered Business Method Proceedings (U.S.P.T.O. Patent Trial and Appeal Board). Defended a major consumer electronics company in multiple patent infringement actions and Covered Business Method (CBM) review proceedings involving electronic sale and transmission of music and video, data storage and access systems, and digital rights management. The U.S.P.T.O. instituted CBM review of numerous challenged claims, each of which were ultimately held not patentable based on prior art or Section 101 grounds. Eolas v. Adobe et al. Represented a prominent Mountain View-based technology company defendant to secure total victory in a case brought by Eolas Technologies Inc. on two patents that it contended cover all web sites containing interactive content. After a four-day invalidity trial involving multiple defendants, an Eastern District of Texas jury returned a verdict that all asserted claims of both patents were invalid. Applied Medical v. Ethicon Endo-Surgery. Represented Applied to redress unfair competition and false advertising in medical device market. Sky Technologies v. SAP. Defended SAP in a patent infringement action regarding computer-based negotiations.